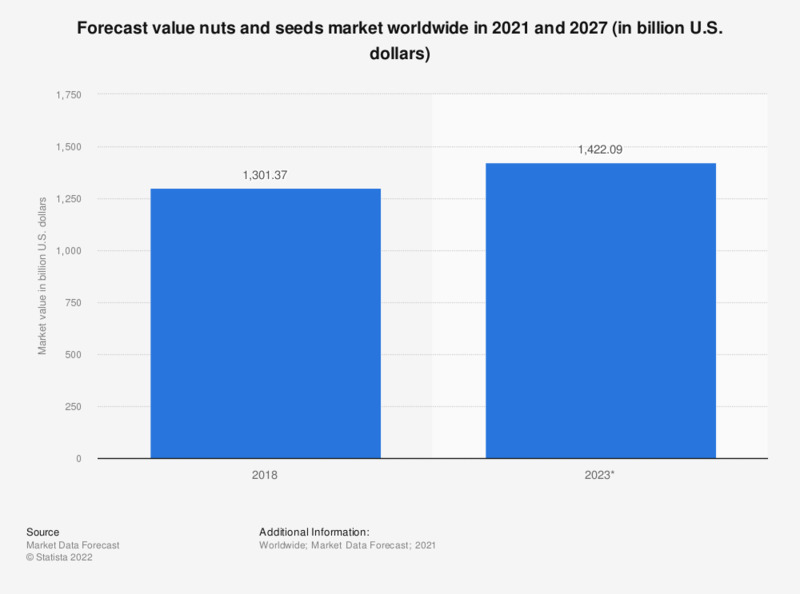 This statistic displays the forecasted value of the nuts and seeds market worldwide from 2017 to 2024. In 2017, the global market value of nuts and seeds amounted to 975.4 billion U.S. dollars, and is forecasted to reach about 1.35 trillion U.S. dollars by 2024. Figures for 2018 to 2023 were calculated using the compound annual growth rate provided by the source.